Throughout the world, G-tune has gained an enviable reputation as the most accurate, and advanced instrument tuner available on the PC. As a result, it is widely used by novices, hobbyists, and professionals alike. From students learning how to play violin, to corporations and small businesses creating unique and beautiful musical instruments, G-tune has become an indispensable tool. This section details some of our happiest customers. If you would like to be included on this page, please email with your details. 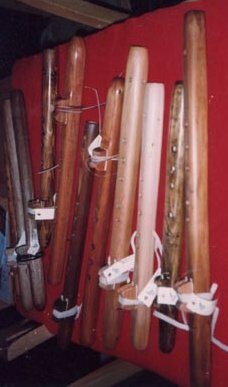 The Native American style flutes which I make are basically the same as the end blown flutes which were developed independently everywhere in the world. The 5 hole Pentatonic scale flute is considered to be the first true instrument developed by man & was essentially similar everywhere except for the modes or keys. The major differences with flutes developed in North America was: 1) Every scale & mode was developed except for Mode 2 Pentatonic (China) & Mode 5 Pentatonic (Celts), it was more normal for a group of people to develop 1 or 2 scales at most. 2) The flute was an integral part of life that could be used in births, deaths, courting, marriage, hunting, warning sounds, religion or just for pleasure. 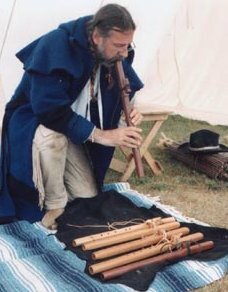 In fact a flute could be considered more an instrument of power to Native Americans than a weapon since it transcended the physical world into the spiritual one. Anyone hearing the eerie & hauntingly beautiful music of Native Americans could certainly understand this. The woods & manufacturing techniques used varied greatly depending on the region & materials available there. From river cane found around the Gulf of Mexico areas to Sumac, Pine or Cedar in others. The only common element in regards to materials was that only softwoods were used. This owing to the fact that no steel tools were available until the arrival of the Europeans. All tools were of stone or wood. Stone tools were knapped out of rocks such as flint or obsidian. These tools should not be considered primitive since they could in fact could be accurate & precise. Even today we have yet to develop steel tools as sharp as obsidian. We have even returned to using obsidian knives in certain surgeries such as heart cosmetic since less scarring occurs from the clean cuts. Flutes might have been plain, or an animal might be carved on the foot of the flute which had special meaning to the owner. The flute is often called the courting or love flute do to the fact that in some areas, mostly the plain states areas West of the Mississippi, a type of courting entailed the young man to play the flute for the girl of his interest at night in front of her parents lodge. Very strict moral rules were common among all Native American peoples & it was quite normal to find that young men & women were not allowed to even talked to each other. By getting permission from the young lady’s parents to come play the flute, he knew that there was a possibility for more if the girl was interested. The parents of course would be at ease that the couple was sitting under their watchful eyes at all times. Since this would only transpire after all work was done at end of day, & that the plains states get cool at night, the man would also bring a blanket to place over their shoulders while he played. 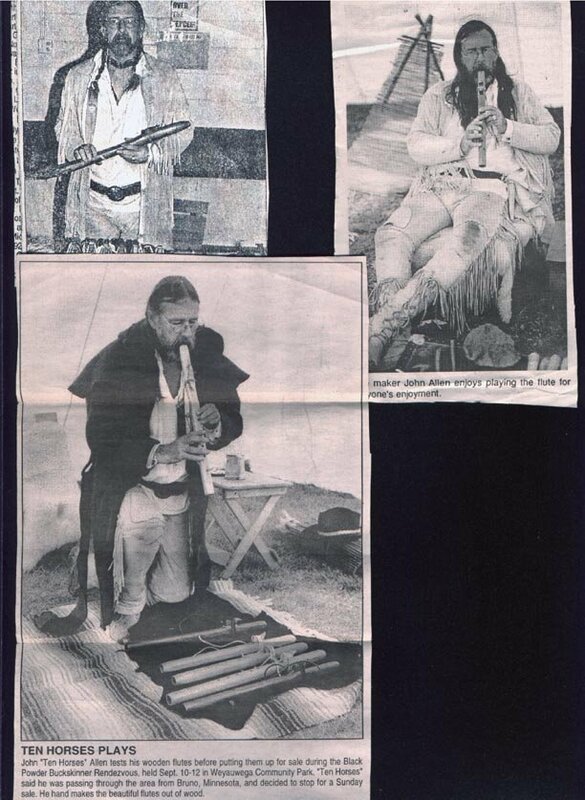 This is the tradition of the blanket & flute. All scales, as I said earlier, were developed by Native Americans. The most common used was the Pentatonic & Diatonic, followed by the Modified Diatonic, 6 hole Pentatonic, (dual mode 1 & 4) Whole note & Chromatic scales as well as some scales not recognized by the European community & hence were never classified. Go back to main G-tune page. Copyright © 2009 JHC Software Limited. All rights reserved.